Hi! My name's Melissa and smellymellyblinks is a collection of daily life, fashion, food and music. In case you're wondering about the name smellymelly, it is indeed a nickname that comes from my partner in crime, Ian. We had the intention of making ketchup this past weekend but somehow got sidetracked and ended up making this instead. The idea behind this recipe came from reminiscing about London’s Borough Market. At one point both Ian and I worked near this market and would meet up for lunch every week. We would always try new dishes but we would always come back to the market for two things: 1) the Spanish chorizo and 2) the Mushroom paté. 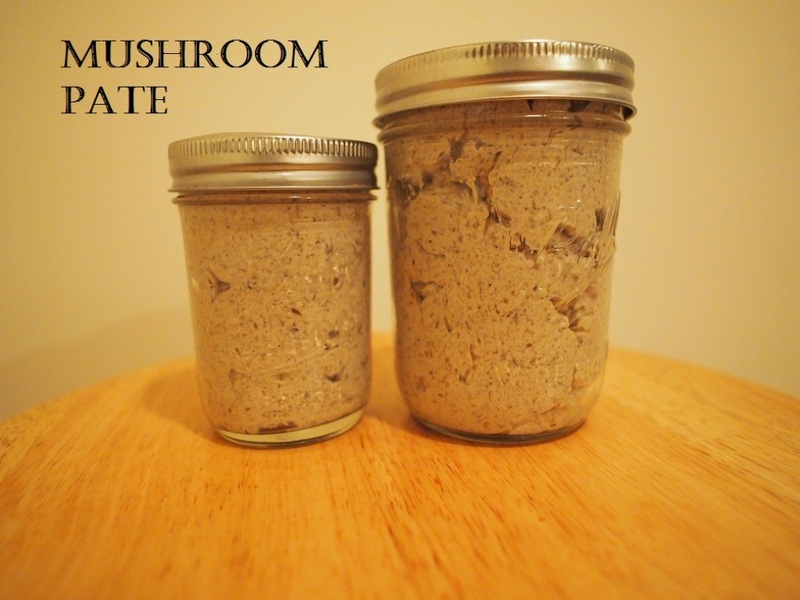 This mushroom pate is like nothing you have ever tasted before. It’s rich creamy and I swear anyone who doesn’t like mushrooms will convert for this paté. I decided to make my own version of this paté. (See below for recipe). The best part of this patè is that it serves many functions. I’ve used it as a spread on a cracker, whipped it in with eggs, and even used it in a pasta dish. Hope you enjoy this recipe. Start off by frying the onions, you want them to become translucent. This will take about 5-10 minutes. Once onions are translucent add the garlic. Fry the garlic for two minute then set aside. 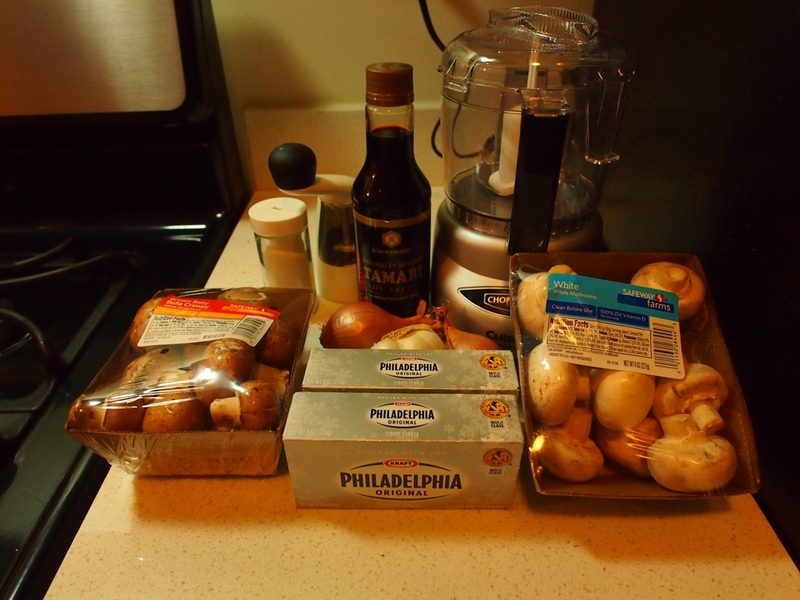 Next blitz all your mushrooms in a food processor. Once they are blitzed spread them on to a frying pan over a medium to low heat. The idea is you want to get all the water out of the mushrooms. This took me about 25 minutes because I used a smaller pan and I was nervous that my mushrooms would burn over a higher eat. 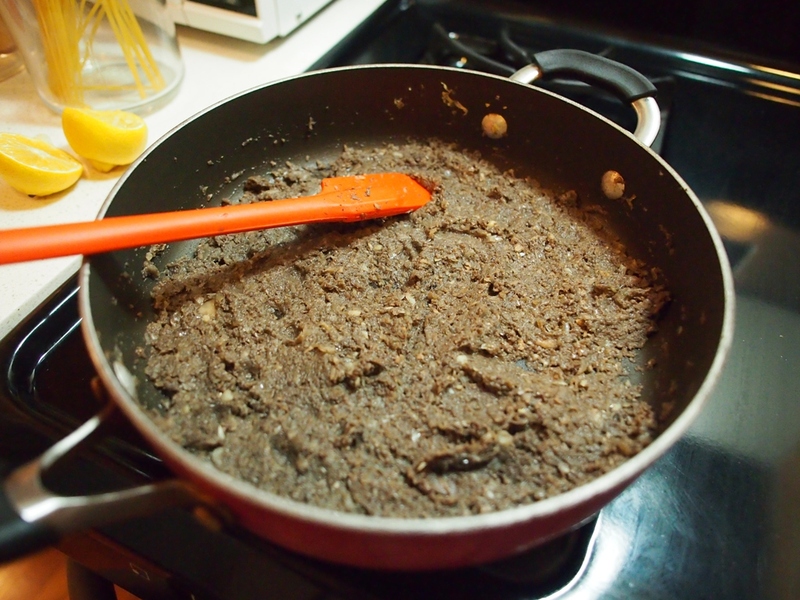 Once your mushroom mixture is dry add your onion/ garlic to the mixture. Set this mixture to the side and allow to cool down for at least 30 minutes. 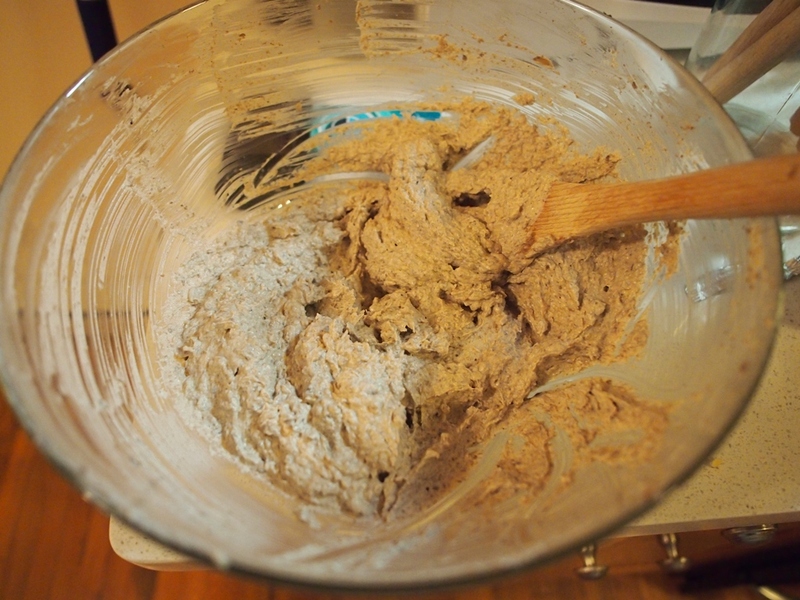 Once cooled beat in the cream cheese to the mixture. Add your tamari sauce to the mixture. Allow to cool in fridge.